Forests of carbon nanotubes are an efficient alternative for platinum electrodes in dye-sensitized solar cells (DSC), according to new research by collaborators at Rice University and Tsinghua University. The single-wall nanotube arrays, grown in a process invented at Rice, are both much more electroactive and potentially cheaper than platinum, a common catalyst in DSCs, said Jun Lou, a materials scientist at Rice. 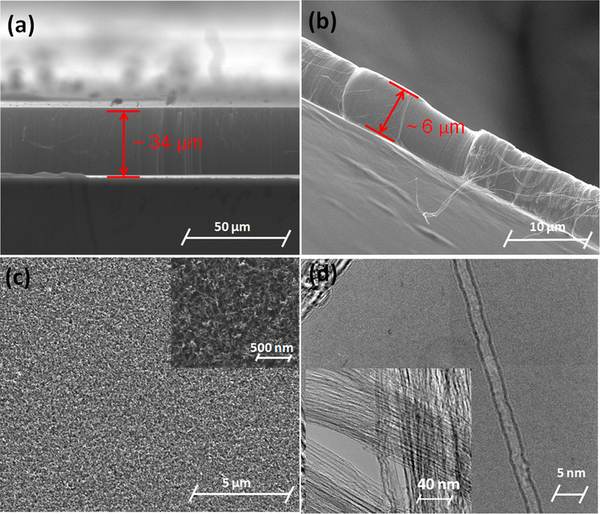 In combination with newly developed sulfide electrolytes synthesized at Tsinghua, they could lead to more efficient and robust solar cells at a fraction of the current cost for traditional silicon-based solar cells. Lou and co-lead investigator Hong Lin, a professor of materials science and engineering at Tsinghua, detailed their work in the online, open-access Nature journal Scientific Reports this week. Dyes absorb photons from sunlight and generate a charge in the form of electrons, which are captured first by a semiconducting titanium oxide layer deposited on a current collector before flowing back to the counter electrode through another current collector. Progress has been made in the manufacture of DSCs that incorporate an iodine-based electrolyte, but iodine tends to corrode metallic current collectors, which “poses a challenge for its long-termreliability,” Lou said. Iodine electrolyte also has the unfortunate tendency to absorb light in the visible wavelengths, “which means fewer photons could be utilized,” Lou said. So Tsinghua researchers decided to try a noncorrosive, sulfide-based electrolyte that absorbs little visible light and works well with the single-walled carbon nanotube carpets created in the Rice lab of Robert Hauge, a co-author of the paper and a distinguished faculty fellow in chemistry at Rice’s Richard E. Smalley Institute for Nanoscale Science and Technology . Both Rice and Tsinghua built working solar cells, with similar results. They were able to achieve a power conversion efficiency of 5.25 percent – lower than the DSC record of 11 percent with iodine electrolytes a platinum electrode, but significantly higher a control that combined the new electrolyte with a traditional platinum counter electrode. Resistance between the new electrolyte and counter electrode is “the lowest we’ve ever seen,” Lou said.